Behind a stellar defensive effort and six points from attackman Randy Staats, No. 4 Syracuse (9-2) retained the Kraus-Simmons Trophy with an emphatic 18-5 win against Hobart (7-4) on Tuesday, April 14 at the Carrier Dome. In his second game back from injury, Staats scored a game-high four goals and had two assists to lead an Orange offense that featured 10 different goal-scorers. At the other end of the field, Syracuse kept the Statesmen off the scoreboard for the game’s first 37 minutes. The Orange led 12-0 at halftime, and 15-0 in the third quarter before Gavin Llewellyn scored Hobart’s first goal exactly seven minutes into the second half. Flummoxed by SU’s swarming defense, Hobart managed just nine shots in the first half. The Statesmen also turned the ball over eight times in the first two periods and the Orange offense took advantage. Dylan Donahue notched a pair of first-quarter goals, and opened the scoring with the 100th goal of his career less than two minutes into the contest. Hakeem Lecky and Nick Weston also hit the back of the net in the first period to give the Orange a 4-0 cushion after 15 minutes. Syracuse poured it on in the second quarter, tacking on eight more goals to take a 12-goal lead into the locker room at halftime. 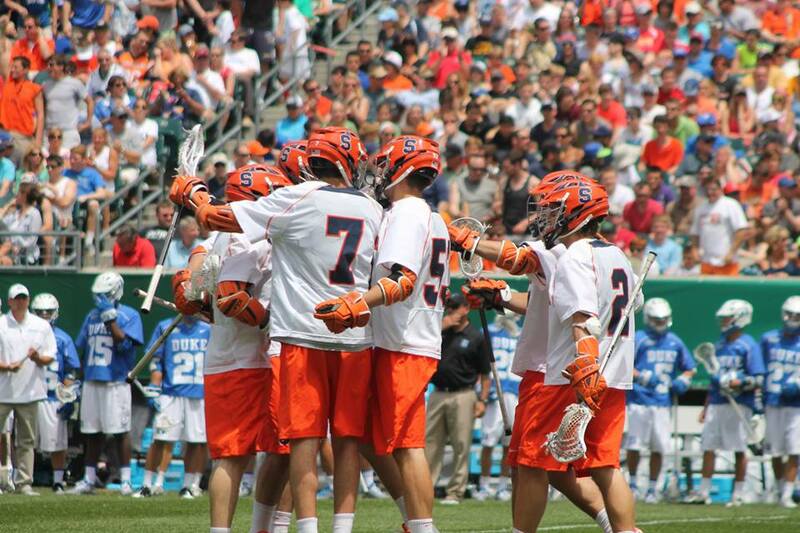 Six different players scored for the Orange in the period, with Staats and Kevin Rice contributing two goals apiece. Staats added two more goals at the start of the third period, one on a feed from Rice and another on extra-man, to extend the SU lead to 14-0. Staats, Rice and most of the starters were lifted after that as Orange head coach John Desko turned to the reserves to close out the game. Syracuse goalie Bobby Wardwell stopped four shots and allowed one goal in a little more than 38 minutes of work. Warren Hill and Evan Molloy finished up in the cage, with Hill recording five saves and Molloy two. No Hobart player had more than one point in the contest. Goaltender Jackson Brown had 14 saves for the Statesmen, including 10 in the first half. 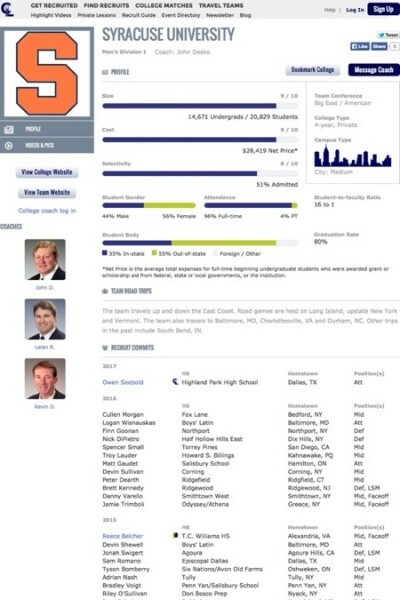 Syracuse is assured the No. 3 seed in next weekend’s ACC Championship. The Orange will face the loser of Saturday’s game between Notre Dame and North Carolina in the semifinal round on Friday, April 24 at PPL Park in Chester, Pa.